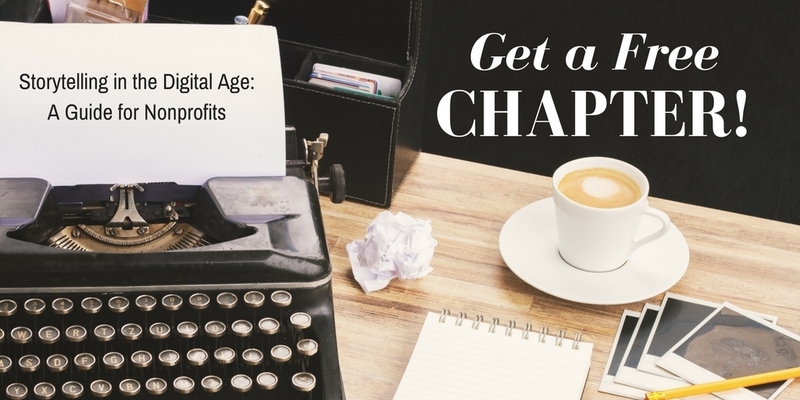 Sign up and get a free copy of the first chapter of my new book, Storytelling in the Digital Age: A Guide for Nonprofits. Storytelling is the most effective way to grow support and to keep donors engaged. It’s all about crafting authentic, real, emotional stories about the work that you do every day. That’s where Storytelling in the Digital Age: A Guide for Nonprofits comes in. I am here to guide you every step of the way in a conversational, fast-reading style designed for busy nonprofit practitioners such as yourself. Get access to the first chapter of my brand new book below! Enjoy the chapter, and let me know what you think!